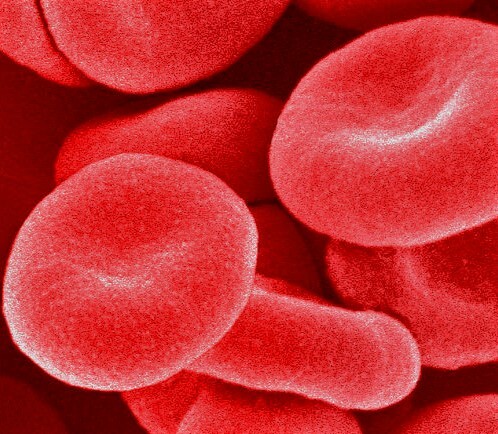 The blood is a complex organ that circulates cells and nutrients throughout the body. One important function of the blood is carrying oxygen from the lungs to the various cells and tissues throughout the body. In the 1490s, Leonardo da Vinci wrote that the circulatory system is ‘a tree of veins’. He also stated that: All the veins and arteries arise from the heart. Knowledge of the nature of blood was advanced by the work of Jan Swammerdam (1637-1680), a Dutch experimenter with microscope. Swammerdam studied at Leiden University, completing a degree in medicine at age 30, with a dissertation on human breathing. In about 1658 he was the first to describe the red corpuscles of blood from a microscope inspection of the blood of frogs. Swammerdam described about red blood corpuscles in his famous Bibiia Naturae which was published only in 1738 by Boerhaave, many years after the author’s death in 1680. Unaware of this work, Anton van Leeuwenhoek provided another microscopic description in 1674, this time providing a more precise description of red blood cells, even approximating their size. He estimated their size to be, in modern terminology, 8.5 microns in diameter (the correct value is 7.7 microns). Leeuwenhoek found that red blood corpuscles settled at the bottom when sedimented and would lyse when water was added. In 1901 Karl Landsteiner published his discovery of the three main blood groups – A, B and C (which he later renamed to O).